as if the image is recomposed. the cropping again before printing. 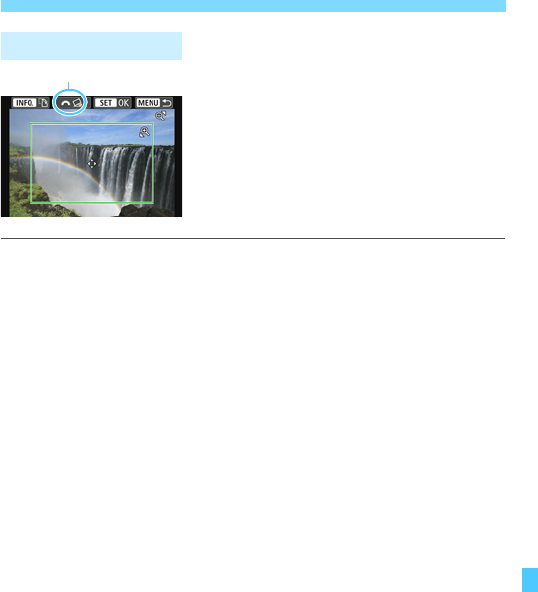 1 On the print setting screen, select [Cropping]. 2 Set the cropping frame size, position, and aspect ratio. magnification will be for printing. it covers the desired image area. to create a vertically oriented print from a horizontal image. image tilt, the <O> icon on the screen will turn blue. 3 Press <0> to exit the cropping. The print setting screen will reappear.